The NADCO Spring Summit has always been about leadership. CDC employees and other industry professionals visit Washington, DC and meet with industry experts, regulatory decision makers, and congressional leaders to chart the best course for the 504 industry for the next twelve months and beyond. However, 2019 is ~extra~ special. That's because one other important group of vital industry experts is descending on Washington, DC to share their perspectives and best practices with 504 professionals - the Sacramento Loan Processing Center! 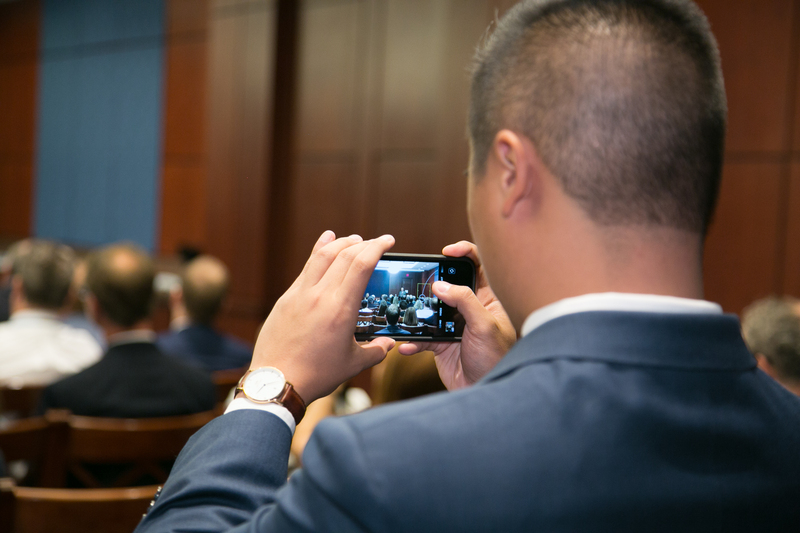 Attendees will get the opportunity to hear all of the amazing content and meetings the Spring Summit usually provides - including a Capital Hill Breakfast and a PAC event with senior leadership in Washington, DC - as well as attend workshops led by SLPC experts. Between the networking opportunities and the ability to influence the future of the industry, the Spring Summit has always been more than just a mid-year conference. Its proximity to decision makers at all levels has led year-after-year to unprecedented face time between practitioners and decision makers. Join us in Washington, DC the week of May 19 to ensure that your voice is among those in attendance. Be there and make 504 history! What topics will be focused on during the SLPC Workshop? SLPC will be focusing on areas that will be most helpful for CDCs based on experiences, interactions, and data from the Center. How will the workshop sessions go? The workshop will center around case studies. SLPC staff will be there to engage with CDCs on topics that arise from the case studies, as well as work with groups and engage attendees in discussions. How do the "groups" work? The workshop format (small groups with no more than 50) was created to maximize interaction between CDCs and SLPC staff to allow for quality engagement, discussion, and learning. The duration of each workshop will be 2 hours and 30 minutes, plus a 15-minute break. View the agenda. What CDC staff will benefit most from the SLPC workshop? Any team member who works with SLPC regularly as a requirement of his or her job responsibilities will benefit from this workshop. How do the workshops affect the Spring Summit schedule? Attendees of an SLPC workshop will spend 2 hours and 30 minutes total in these small group workshops, which will take place during the conference breakout sessions. The rest of the conference will go on as usual with breakout and general sessions as well as all of the other "extras" you've come to expect at a NADCO Spring Summit. Most breakout sessions will be repeated to give workshop attendees an opportunity to experience these sessions. Am I guaranteed a spot in one of the SLPC workshop's small groups? While NADCO cannot guarantee space, based on historical participation, we expect to be able to accommodate all who want to participate in the SLPC workshops. There are 200+ total spots available. NADCO strongly recommends registering by early bird to more easily secure a space, as these registrants will get the first opportunity to schedule their small groups. How do I sign up for an SLPC group? Attendees will sign up for groups online a few weeks prior to the conference to allow attendees ample time to schedule Hill visits and other important appointments prior to their trips to Washington, DC. An email will be sent asking registrants to schedule their small group. This email will be sent to early bird registrants before standard registrants. What happens if I don't get a spot? While it is NADCO's hope that everyone who wants a spot in the SLPC workshops will get one, it could be the case that an influx in attendance this year means that there are more attendees hoping to attend the workshops than the 160 slots available. If this is a concern of yours, NADCO recommends registering by the end of early bird and keeping a close eye on emails from NADCO in the weeks prior to the conference to mitigate this risk. Is full Spring Summit programing available for those who don't wish to participate? Yes! For those who do not have an interest in the SLPC Workshops, simply ignore the workshop scheduling emails and join us in Washington, DC for our regularly scheduled programming!